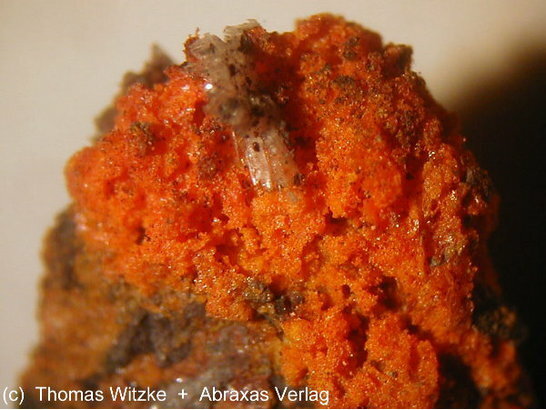 Rosickýite: Mineral information, data and localities. After Professor Vojtĕch Rosický (30 October 1880 Prague, Austria-Hungary – 9 February 1942 Mauthausen, Nazi Germany), former Director of the Mineralogical and Petrological Institute of Masaryk University, Brno, Czech Republic. The densest form of solid S. Can be prepared by slowly cooling molten sulfur that has been heated above 150°C. Dimorphous with both sulphur (α-sulphur), to which it changes in time at room temperature, and β-sulphur. Non-standard unit cell; other cell given: a = 8.476(2), b = 13.088(3), c = 9.270(2), beta = 124.92(2)°. Sekanina, J. (1931) Rosickyit, die natürliche γ-Schwefelmodifikation. Zeitschrift für Kristallographie: 80: 174-189. Sulphur 4 photos of Rosickýite associated with Sulphur on mindat.org. Palache, C., Berman, H., Frondel, C. (1944) The System of Mineralogy of James Dwight Dana and Edward Salisbury Dana Yale University 1837-1892, Volume I: Elements, Sulfides, Sulfosalts, Oxides. John Wiley and Sons, Inc., New York. 7th edition, revised and enlarged, 834pp. : 145-146. Watanabe, Y. (1974) Crystal structure of monoclinic γ-sulfur. Acta Crystallographica: 30: 1396-1401. Gallacher, A.C., Pinkerton, A.A. (1993) A redetermination of monoclinic γ-sulfur. Acta Crystallographica: C49: 125-126. Meisser, N., Schenk, K.J., Spangenberg, J.E. (2000) Rosickýite (monoclinic γ-sulphur) from La Presta asphalt mine, Neuchâtel, Switzerland: new X-ray powder diffraction data. Schweizer Mineralogische und Petrographische Mitteilungen: 80: 299-303.
ⓘ Borup Fiord Pass ? Gleeson, D. F., Williamson, C., Grasby, S. E., Pappalardo, R. T., Spear, J. R., & Templeton, A. S. (2011). 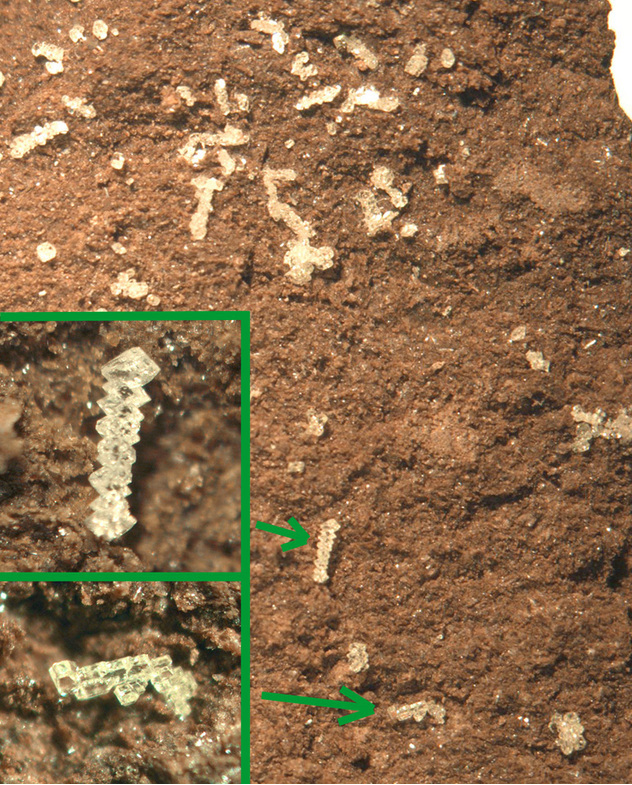 Low temperature S0 biomineralization at a supraglacial spring system in the Canadian High Arctic. Geobiology, 9(4), 360-375. Kruťa T. (1944): Nález nové recentní síry a salmiaku v Kelčanech na Moravě. Věda přírodní, 23, 61. Ingendahl, J. (2016): Tief im Westen - Mineralienfunde aus dem Steinkohlebergwerk West. 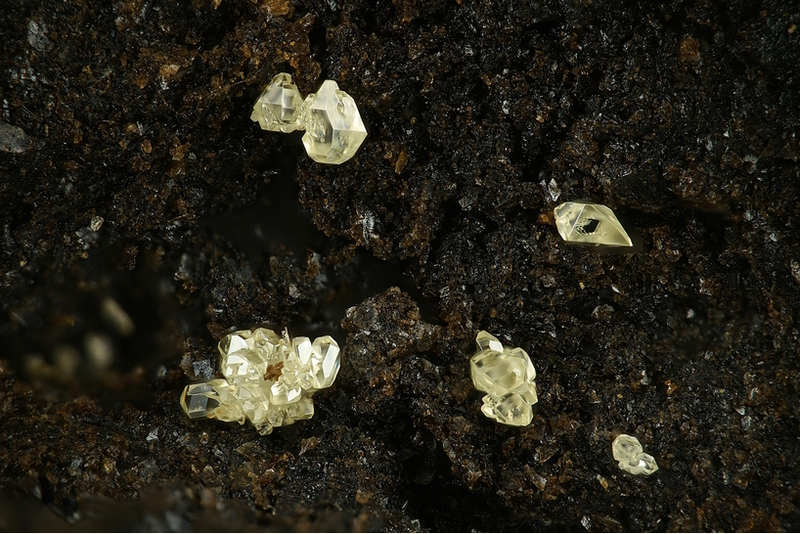 Mineralien-Welt, 27 (4), 61-72. Rieck, B. & Rieck, P. (1999): Silber, Arsen und Antimon: Vererzungen im Revier Plaka (Teil 2). Lapis, 24 (7-8), 59-60. 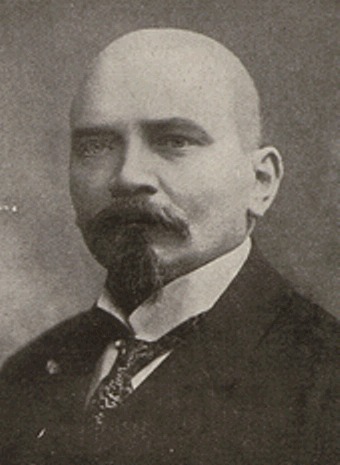 PANICHI U. (1924): Contributo allo studio dei minerali dell'Isola di Vulcano. - Memorie della Società Italiana delle Scienze (detta dei XL) - serie 3 – 19, 3-55. Unpublished drill log report to NZ Dept of Mines by sulphur mining operator. Meisser, N., Schenk, K. J. & Spangenberg, J. E. (2000): Rosickýite, (monoclinic γ-Sulfur), from La Presta Asphalt Mine, Neuchâtel, Switzerland: New X-ray powder diffraction diagram. Swiss Bulletin of Mineralogy and Petrology, 80, 299-303. Douglas, S. (2005). Mineralogical footprints of microbial life. American Journal of Science, 305(6-8), 503-525. Pemberton, H. Earl (1983), Minerals of California; Van Nostrand Reinholt Press: 53.